The Epson Stylus® CX6600 is an all-in-one printer packed with a wide variety of features that enable the user to execute all important tasks that come up on a daily basis in office and at home. One of the key highlights of this printer is the number of functions it can perform at a fraction of cost and the results it delivers in conjunction with components like Epson Stylus Colour Cx6600 ink cartridges. The printer is known for delivering photo quality printing of images and text with its optimised dpi, which is up to 5760 x 1440. With DURABrite® inks, it produces smear-free, clear and long-lasting colours in images and texts. The Epson Stylus CX6600 printer, with 52.3 x 46.2 x 29 cm dimensions and 10.3 kg weight, also delivers advanced level output with added flexibility as it comes with built-in card slots and a photo proof sheet function that facilitates convenient printing of selected photos directly from commonly used memory cards. Opting for compatible Epson Stylus Colour Cx6600 ink cartridges for this printer also boosts the speed of printing and allows you to print on different types of media. Further, as a DURABrite Photo Series all-in-one printer, it comes with 20 sheets of photo paper, Photo Series software and access to Epson's exclusive photo crafts and photo sharing websites. Getting Epson Stylus Colour Cx6600 ink cartridges along with this printer is recommended for both quality in better quantity output. The Epson Stylus CX6600 printer is a versatile machine that simplifies various scanning, photo and text printing needs with only minor glitches that come up but very occasionally. How to replace dried out ink cartridges and install the new Epson Stylus Colour Cx6600 Ink Cartridges? Step 5: Open the cartridge cover and press the sides of the cartridges that need to be replaced. Take out the cartridge and dispose it carefully. Step 6: Install the new Epson Stylus Colour Cx6600 Ink Cartridges straight into the cartridge holder, and then press the top of the cartridge until it clicks into place. Step 7: Close the cartridge cover and scanner unit. Replacing the old and dried ink cartridges with the new Epson Stylus Colour Cx6600 Ink Cartridges will result in better print quality. How to remove paper jam issue in Epson Stylus Colour printer? To avoid paper jams use plain A4-size paper and make sure that the paper is dry and not wrinkled. Q. Can I use Epson Stylus Colour Cx6600 printer for my image printing task? A. Yes, definitely. The printer is well-known for delivering photo quality printing of images and text. The printer supports direct printing of images from commonly used memory cards. Q. If I purchase Epson Stylus Colour Cx6600ink cartridges from you and need help with the installation process even at a later date and not immediately, would you provide the necessary support? Thanks. A. Yes, you can contact us anytime with any concern related to your purchase. We’ll be glad to help you out. You just need to be ready with the details and provide the relevant details to help us serve you better. You can ask for help on 048 30833221 or email us on info@printerinkcartridges.ie . Q. While using this printer, an error message “Cannot recognize the memory card. Do you want to format the card?” is displayed. What does it mean and how can I resolve the error. Please help. A. The error message indicates that the memory card inserted in the CX6600 cannot be recognized. Either you need to format the memory card or insert a new memory card to remove the message. Q. Do you offer any multipack of Epson Stylus Colour Cx6600 ink cartridges at your site or I need to purchase individual pack of ink cartridges? A. We don’t offer any multipack of Epson Stylus Colour Cx6600 ink cartridges at present. But we do offer individual ink cartridges for Cyan, Magenta, Black and Yellow colour. You can purchase these individual ink cartridges here: https://printerinkcartridges.ie/epson-inkjet-cartridges/epson-stylus-c-cx-series-printers/stylus-colour/stylus-colour-cx6600. Q. Do you recover Epson Stylus Colour Cx6600 ink cartridges damaged during transit? A. Yes, we offer an immediate refund or replacement in case if any of your order is damaged during transit or any problem occurred from our end. In this case, immediately contact our team and retain the original packing for your order. Q. Can I directly print images with Epson Stylus Colour Cx6600 printers without having to connect to a computer? A. Yes, Epson Stylus Colour Cx6600 printers come with a memory card slot. You can directly print from Memory Sticks, SD Cards, MultiMedia Cards, SmartMedia Cards, xD-Picture Cards and CompactFlash drives with this printer without the need to connect to a computer. Q. Do original Epson Stylus Colour Cx6600 ink cartridges produce better print quality as compared to the compatible ink cartridges? A. No, the print quality of our compatible Epson Stylus Colour Cx6600 ink cartridges will be as good as the original ink cartridges. All our compatible ink cartridges are FSC tested and certified and are manufactured to work as well as the original ink cartridges with your printer. Q. What is the maximum resolution that Epson Stylus Colour Cx6600 printers are capable of printing? A. Epson Stylus Colour Cx6600 printers are capable of printing up to a high resolution of 5760 x 1440 optimised dpi. This printer can produce photo quality images leaving the user satisfied. Q. How do I enable the security lock for my Epson Stylus Colour Cx6600 printer? Make sure your printer is connected to the computer and then turn on the printer. Insert the printer software CD-ROM that you got with your Cx6600 printer in your computer. Cancel the software installation screen. If you are using a Windows PC then open the "SecurityLookTool" folder the CD-ROM and double-click on the EPILOCE4 icon. If your are using a Mac computer, double click on the Epson CD-ROM icon and then double-click on the "Security Lock" icon. A window displaying security lock options will open. Select the "Security Lock On" option and click "OK". On your printer’s control panel, press the "Setup" button and use the "Select" buttons to display "Security Lock" on the LCD screen. Press the colour button. Then, press the green button next to "ON". Enter the 4-digit PIN that you want to use to access the printer. Press the green button next to "OK" on the LCD screen and turn off your printer. The printer is now locked and will require the 4-digit PIN to be accessed. Q. What is the maximum number of pages that a single compatible Epson Stylus Colour Cx6600 ink cartridge can print? A. Our black compatible Epson Stylus Colour Cx6600 ink cartridges are capable of printing 600 pages without having to be replaced and our coloured compatible Cx6600 ink cartridges are capable of printing 250 pages each. Q. Do you also provide paper that can be used to print on with my Epson Stylus Colour Cx6600 printer? A. Yes, we provide A5 size paper, envelopes, A4 size white paper, gloss photo paper and matt photo paper that can be used with your Epson Stylus Colour Cx6600 printer. Q. I am setting up a small office. I need a printer with relatively low power consumption since I cannot spend too much on my electricity bill. How much power does Epson Stylus Colour Cx6600 printer consume? A. Epson Stylus Colour Cx6600 printers consume only about 15 Watts of power while printing, and 3.5 Watts on standby mode. Q. Do Epson Stylus Colour Cx6600 printers come with other functionalities other than printing? A. 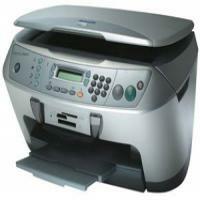 Other than high quality printing, Epson Stylus Colour Cx6600 printers also come with scanning and copying capabilities. It does the job of three machines in one, thus saving space and reducing costs. Q. How much time would it take for Epson Stylus Colour Cx6600 ink cartridges to be delivered to me in Dublin? A. If you place an order for our Epson Stylus Colour Cx6600 ink cartridge before 12 noon, 90% of the time you will receive the product within 1 - 2 days. If your order is urgent, and you require the product before the standard delivery time, contact us on 048 308332211 and we will try our best to deliver the product to you as fast as possible.